Diane's Art Stuff: Sailboat mural in tile complete. 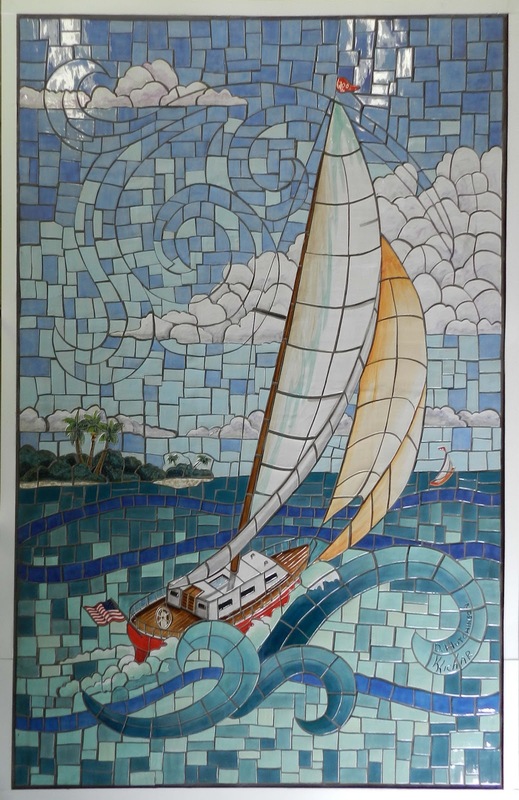 Sailboat mural in tile complete. Here is a picture of the final tile mural. The Sailboat. it is 10' X 7'. Enjoy. Great work! it captures both serenity and turmoil associated with the sea. Love it!